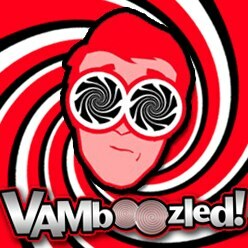 Recommended Articles about VAMs & Teacher Education | VAMboozled! Baird, L. L. (1987). Value added: Using student gains as yardsticks of learning. In C. Adelman (Ed. ), Performance and judgement: Essays on principles and practice in the assessment of college student learning (pp. 205-216). Washington DC: U.S. Government Printing Office. Chingos, M. M. & Peterson, P. E. (2011). It’s easier to pick a good teacher than to train one: Familiar and new results on the correlates of teacher effectiveness. Economics of Education Review, 30(3), 449–465. Cochran-Smith, M., Feiman-Nemser, S., McIntyre, J., Demers, K. E. (2008). Handbook of research on teacher education: Enduring questions in changing contexts. (3rd ed.). New York: Routledge. Coleman, J., Campbell, E., Hobson, C., McPartland, J., Mood, A., Weinfield, F., & York, R. (1966). Equality of educational opportunity. Washington, DC: U.S. Government Printing Office. Zeis, C., Waronska, A. K., & Fuller, R. (2009). Value-added program assessment using nationally standardized tests: Insights into internal validity issues. Journal of Business and Economics, 9(1), 114-127. Great post. I was checking continuously this blog and I’m inspired! Extremely helpful info specially the closing section 🙂 I care for such information much. I was seeking this certain information for a long time. Thank you and good luck.